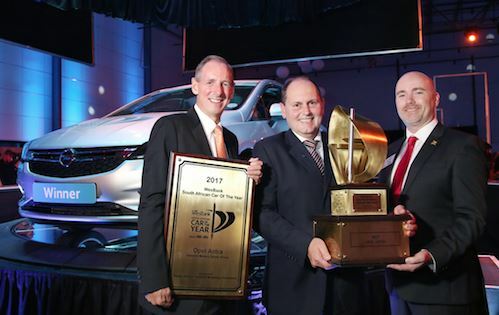 Using the South African Car Of The Year Awards as a background, WesBank CEO Chris de Kock forecast that 2017 will see minor growth in the new vehicle sales industry. Speaking at the event, he added that the past three years have seen sales decline, with 2016 sales falling a massive 11.4% – based off WesBank’s prediction that sales would tumble 12%. For 2017 however, the vehicle finance house expects to see overall growth of 1.74%. WesBank’s forecast is based on a holistic view of the new vehicle sales market, which includes economic factors such as the strength of the Rand, interest rate stability and moderate GDP growth as well as inflation falling back within the target zone. de Kock explained that while total industry sales should reach 557 000 units for the year – a 1.74% increase on 2016’s sales and marginal growth off a much lower base – they forecasts that dealer sales will remain suppressed, especially in passenger and commercial vehicle segments. Dealer sales are expected to end 2017 0.5% weaker year-on-year, with 2% and 4.1% respective declines for passenger and commercial vehicle sales through dealers. The function took place at the new Kyalami racetrack – the same venue where this year’s Car Of The Year testing was conducted – and saw the Opel Astra being crowned the winner. Audi’s A4 and Volkswagen’s Passat were the first and second runners-up, respectively.